Playstation/FlickrThe PlayStation Classic is small enough to hold in your hand. 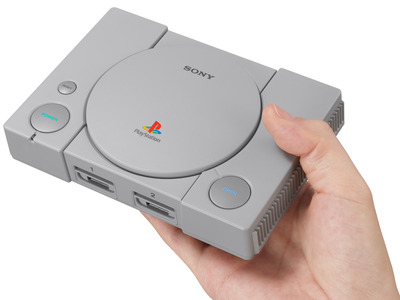 Following the wildly successful lead of Nintendo’s Classic Edition mini game consoles, Sony is releasing the PlayStation Classic on December 3. The mini console is shaped like a PlayStation 1, and comes packed with 20 classic PlayStation 1 games – no discs required. After spending a week with the console, I’ve got mixed feelings about the PlayStation Classic. At just $US100, it’s hard to say no to the PlayStation Classic. On paper, it’s a pretty appealing proposition: a miniature version of the PlayStation 1, with 20 games and two controllers, for $US100. It’s an easy sell to millions of my fellow millennials, who either experienced the launch of the PlayStation 1 firsthand in 1995 as a pre-teen (like me!) or saw it as a “retro” console in childhood. The reality is far less appealing: It’s a retro console that feels bare-bones and rushed, even at that low price. The good stuff: 1. The console itself is an excellent reproduction of the original PlayStation 1. 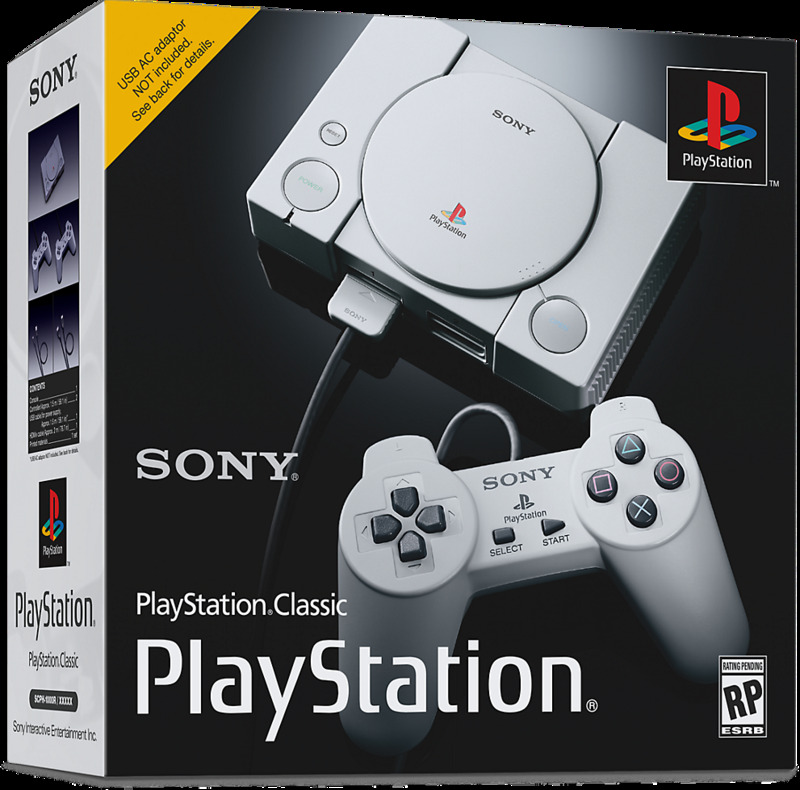 From the placement of the power, reset, and open buttons, to the nostalgia-laced logo sitting on top of the faux CD-ROM reader, to the little tactile raised dots, the PlayStation Classic is an extremely faithful reproduction of the original PlayStation console released in 1995. To that end, if you’re looking for another adorable little console to put on a shelf next to the NES and Super NES Classic Editions from Nintendo, the PlayStation Classic is a shoe-in. 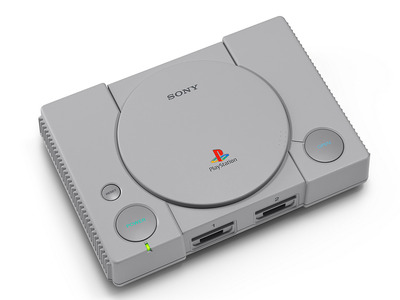 With the exception of the controller ports in the front being replaced by USB ports, and the power and RCA ports in the back being replaced by micro USB and HDMI, respectively, the PlayStation Classic looks almost exactly like the original PlayStation. 2. The controllers are similarly faithful reproductions of the original PS1 gamepad. There are a few subtle differences, but in general, the PlayStation 4, Xbox One, and Nintendo Switch all use the same type of controller solution. Way back in the mid-’90s, video game controllers weren’t standardised like they are today. 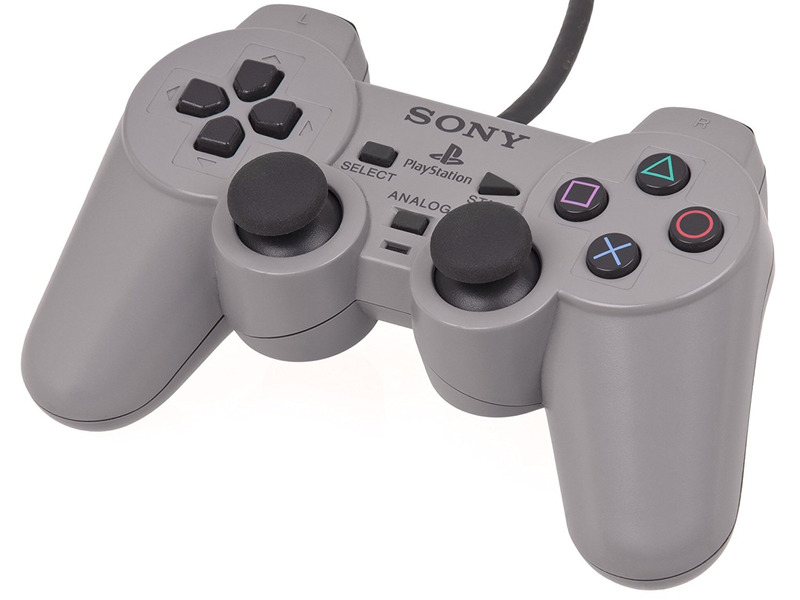 There were no analogue sticks on the first PlayStation gamepad, and no rumble. The shape it took – a core component of all modern game controller design – was brand-new, and considered a risk by Sony’s leadership. Though Sony’s gamepad has evolved considerably over time, the original PlayStation 1 gamepad set a design standard that Sony has stuck by for over 20 years. Having such a faithful reproduction of such a foundational element of gaming is rad, to say the least! 3. Being able to easily play foundational games like “Resident Evil,” “Metal Gear Solid,” and “Grand Theft Auto” is incredible. Have you ever played the first “Grand Theft Auto” game? 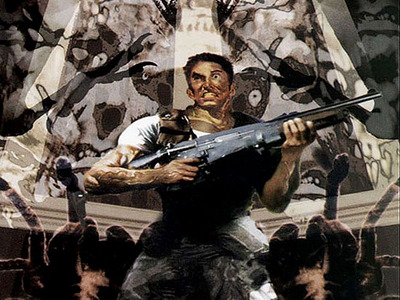 Chances are you haven’t, and its inclusion on the list of 20 games packed in with the PlayStation Classic is a great opportunity to finally see it in all its bizarre glory. If you play the original “Super Mario Bros.” on NES, it won’t feel that far removed from the most modern versions of two-dimensional “Super Mario” gameplay. But if you play “Grand Theft Auto,” you may not even know how to move your character – let alone see the evolutionary thread that leads directly from the original game up through to “Grand Theft Auto 5.” It’s like playing a game from another universe. Similarly, the hilarious intro movie to the original “Resident Evil” is a delightful retro throwback. From such humble roots came a years-long game and movie franchise! 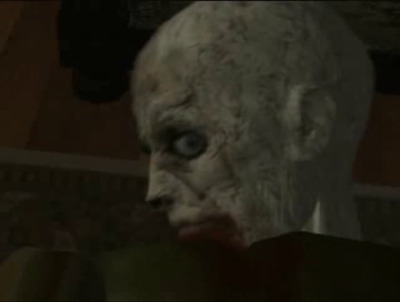 And “Metal Gear Solid,” unbelievably, is still very impressive. Its visuals haven’t aged terrifically well, but its presentation is as cinematic as ever. Playing these games provides crucial context for the modern landscape of video games. 4. The PlayStation Classic is easy to use. 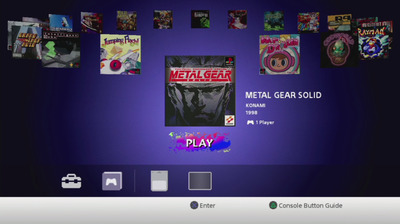 SonyThe PlayStation Classic operating system is a carousel of games, and little else. 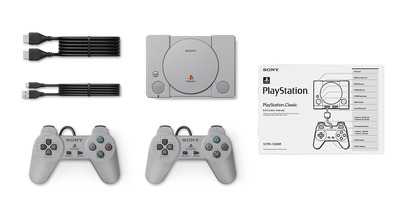 Like the miniature “Classic Edition” consoles from Nintendo, the PlayStation Classic is a cinch to set up. One HDMI wire to your TV, one USB plug to the wall, and you’re off to the races. 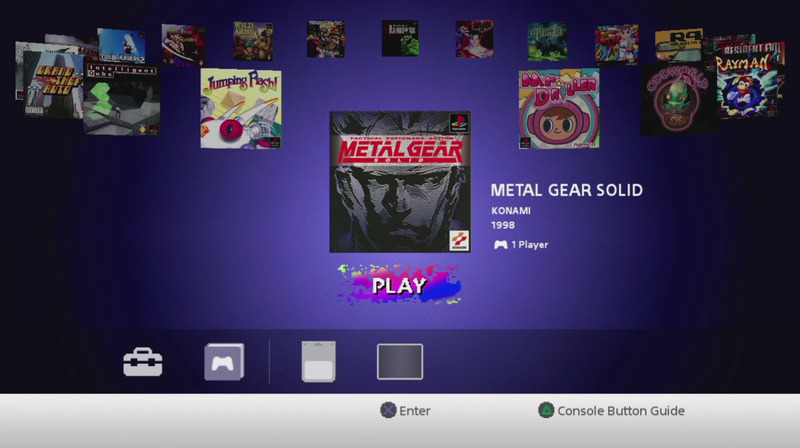 Since the PlayStation Classic has only one function – to play 20 PlayStation 1 games – there are no updates or any real setup. After choosing your language, the list of 20 games shows up in the carousel seen above. That makes the PlayStation Classic an easily accessible device for pretty much anyone. It’s on the same level of technological difficulty as connecting and setting up a DVD player. The not-so-good stuff: 1. The list of games is bizarre, and many don’t hold up to the test of time. Capcom‘Resident Evil’ is a fascinating historical document, but it’s not the most exciting game to play — especially given that it’s been re-made since. Of the 20 games included on the PlayStation Classic, there are only a handful that are worth your time. The same can’t be said for “Cool Boarders 2,” “Twisted Metal,” and “Battle Arena Toshinden” – three games that demonstrate little more than how far games have come since their respective launches. Perhaps worse, many of the other games on the list are simply forgettable. Who was looking to play the original version of “Tom Clancy’s Rainbow Six” or “Syphon Filter,” from before first-person shooters had camera controls? In one particularly bizarre case, “Tekken 3” – the less technically capable European version of the game – was included, rather than the North American release of the game. 2. The overall package feels rushed. SonyEverything that comes in the box: one HDMI cable, one micro USB cable, two PlayStation 1 replica gamepads, the PlayStation Classic console, and an instruction manual. Notably, there is no plug — you have to supply your own. 2. Some of the games included in the PlayStation Classic are the European versions (“Tekken 3,” “Grand Theft Auto”) and some are North American. Huh? 3. The system software is incredibly bare bones – no digitised instruction manuals, or customisable backgrounds, or much of anything really. There isn’t even music. 4. You can use a single save state per game. A new save state will erase your previous one. To call the PlayStation Classic experience “minimalist” would be generous. It feels dispassionate, like it was rushed into the holiday release window before it could get the attention it deserves. 3. The inclusion of the original PlayStation 1 controller inherently limits the console. 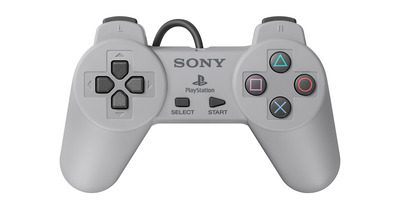 SonyThis is a PlayStation 1 controller with analogue sticks. It was not the design Sony went with for the PlayStation Classic gamepad. The original PlayStation 1 controller is a needless limitation – why not use one of the other PlayStation 1 controllers that had analogue sticks and vibration? In 2018, the original PlayStation 1 controller feels retro. It’s small, and the lack of analogue sticks is outright weird – I found myself reaching for sticks that didn’t exist while playing several different games. More importantly, there are great games, like “Ape Escape,” that outright can’t be played without analogue sticks. The inclusion of this controller directly constrained the list of potential games to be included, and that’s a bummer. Overall: Is it worth it? Maybe, but I’m not buying one. 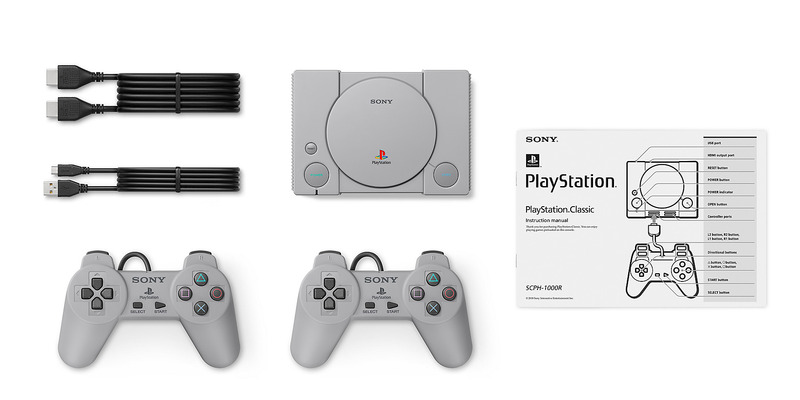 SonyThe PlayStation Classic packaging is an homage to the original PlayStation 1 packaging. Is the PlayStation Classic for people who grew up with the PlayStation 1? That’s me, and my time with the PlayStation Classic mostly served to remind me how rough early three-dimensional, polygonal games are. Is it made for people interested in preserving game history? They will no doubt be let down by the scatter-shot, slim collection of games from multiple territories. Perhaps it’s a love letter to the original PlayStation 1 aimed squarely at die-hard Sony loyalists? The total lack of detail in every aspect of the system’s operation undercuts that possibility. All of which is to say one thing: I have no idea who Sony had in mind as the target customer when creating the PlayStation Classic. It feels like a very attractive USB stick full of games. At $US100, the PlayStation Classic is almost in impulse-buy territory. It’s an adorable little PlayStation 1, and it’s full of games! For many people, those qualifications alone may be enough. For me, it is not.